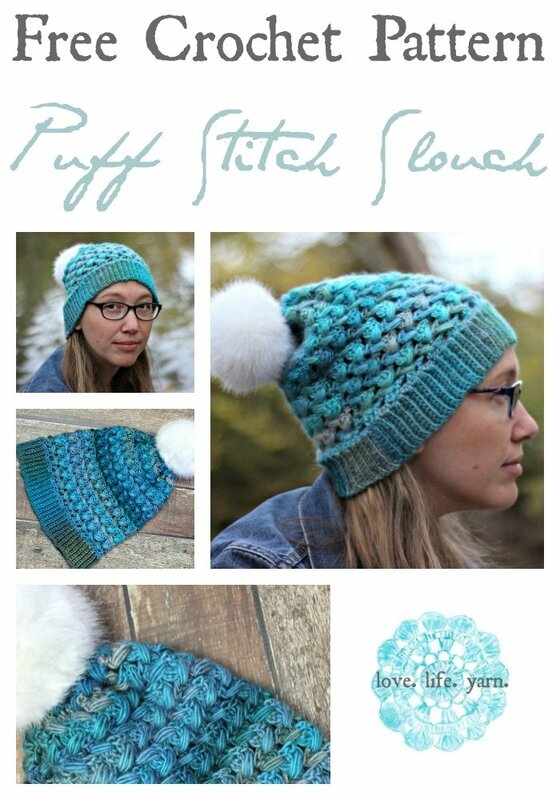 Puff Stitch Slouch - Free Crochet Pattern - love. life. yarn. It was fun to let the little guys run around while we took pictures. I had my 3-year-old model a sweater that will be coming out soon and I also had a couple of projects I modeled besides this one. I share sneak peeks on my instagram so be sure to check it out if you’d like to see what I’m working on and some behind the scenes from our photo shoot. 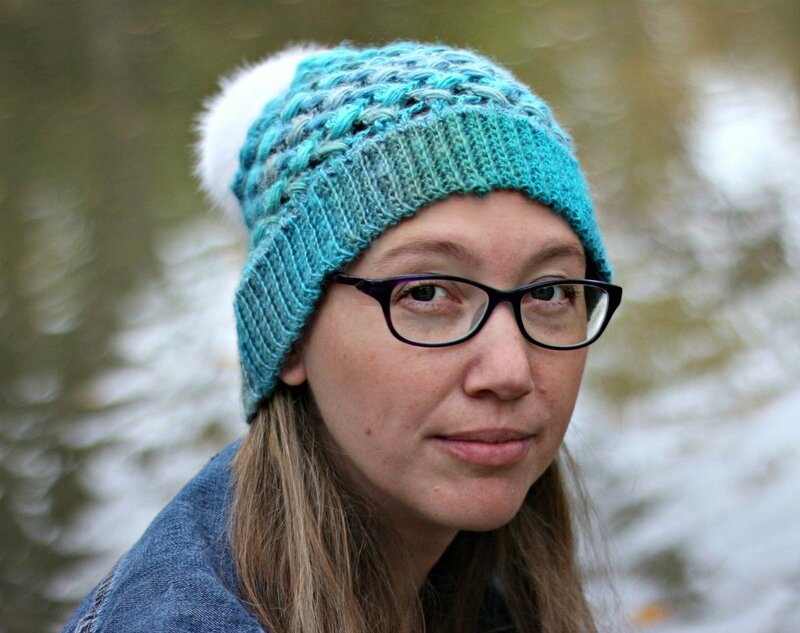 This pattern uses one of my favorite yarns – Red Heart Boutique Unforgettable. 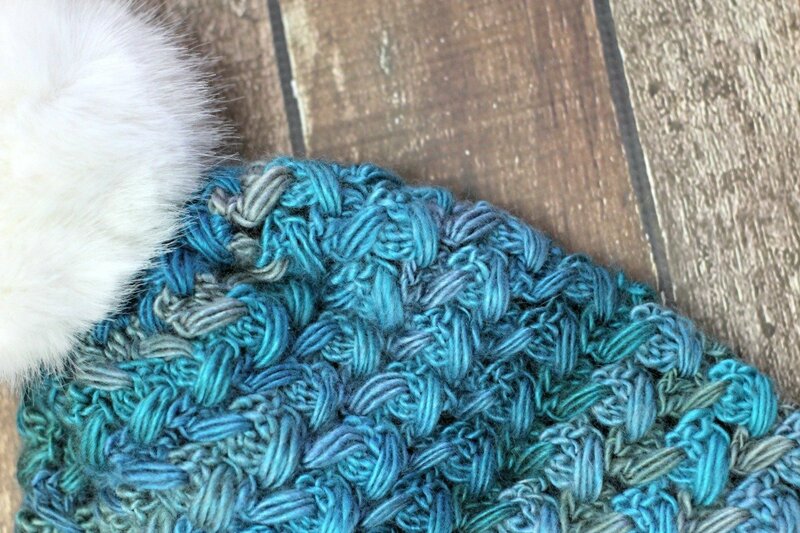 I have several other patterns that use this yarn including the Unforgettable One Skein Scarf and it’s matching hat, as well as a knit version and an Unforgettable Tote. 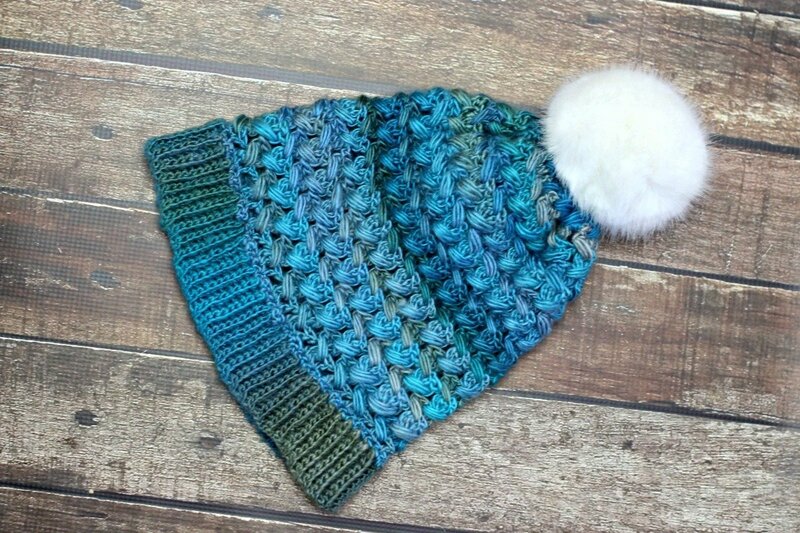 I also can’t forget the Simple Textured Messy Bun Hat. As you can see, I like this yarn a lot!! The color changes are superb and I like the feel and drape of it. 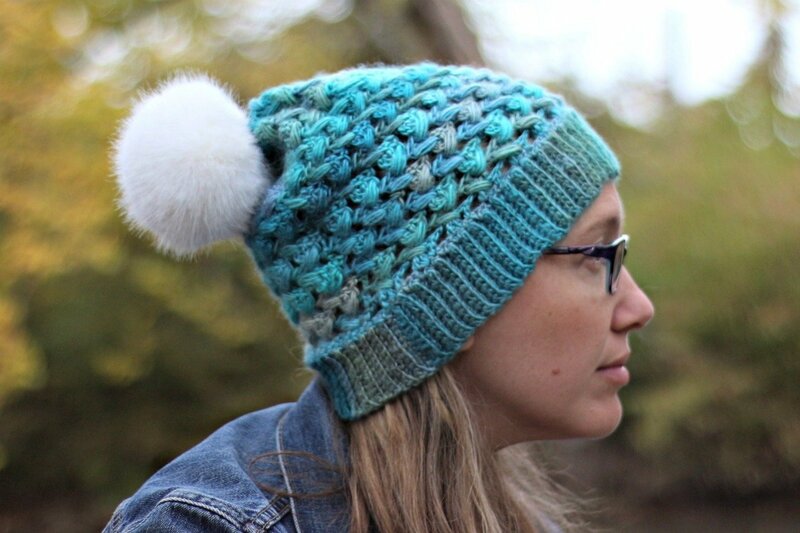 Plus, all of these patterns except the tote and this hat only use one skein so they are quick and easy and make great gifts!! This was also my first time using a fur pom pom and I am in love. I bought this one but learning how to make my own is on the to-do list! Puff Stitch: (Yo, insert hook into previous row between first and second dc in 3-dc group, yo, draw up a long loop) 3 times (7 loops on hook), yo, draw through first 5 loops, yo, draw through remaining loops on hook.